Hondurans are clear about from whom all blessings flow. The last team of 2018 came at the end of October. 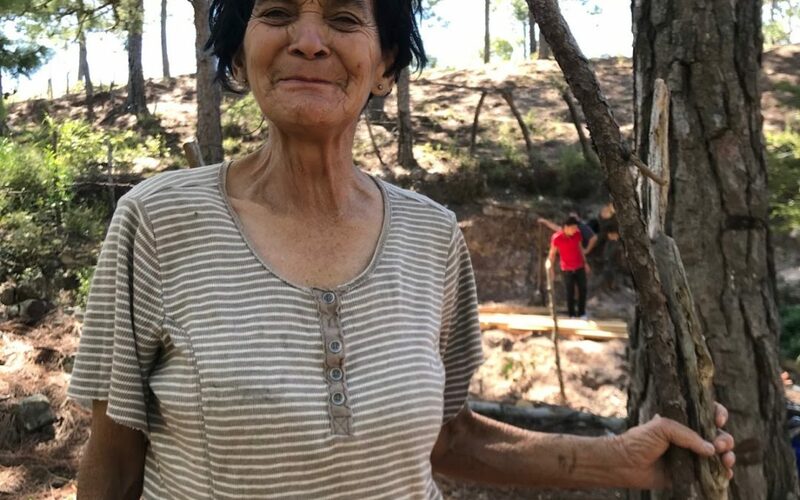 In addition to all the other usual activities, they decided they wanted to build a house in a day for Ernestina, a tiny, homeless, elderly woman in San Buenaventura. The mayor had given her a minuscule bit of land way down a dirt road in the mountains behind the Children’s Home. 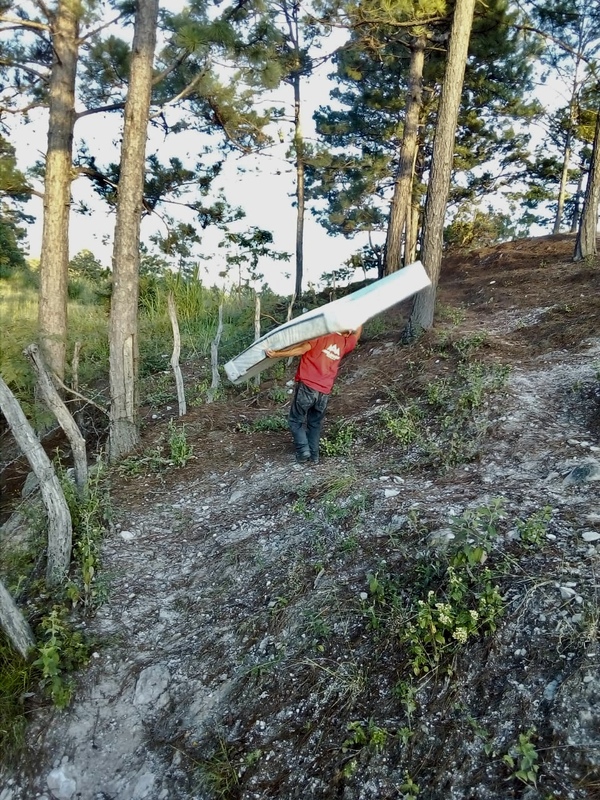 The only way to get the materials to the site was to carry them down and back up a ravine. I was standing in the woods monitoring the progress when another woman appeared, arms full of wood that she had gathered for her wood burning stove. Eva, too, is impoverished but slightly better off than Ernestina. She put down her machete and wood and smiled broadly at me. 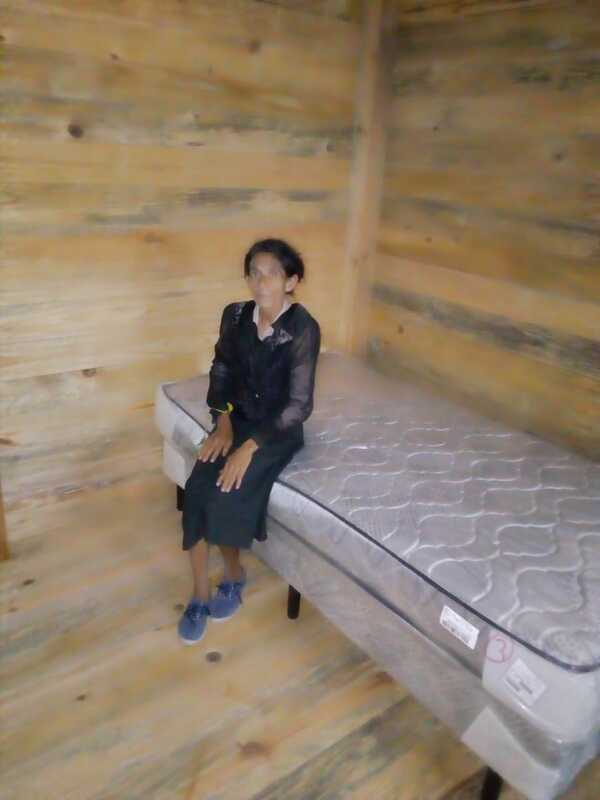 “I am so thankful the Lord is helping Ernestina! Thank you for letting Him use you to bring this miracle to her.” Eva knows where that house came from. We were thankful to be part of Ernestina’s miracle. Thank you for sharing this story! Since 2001, my church has been sending a mission team to Honduras each June (year 18 coming up for me). 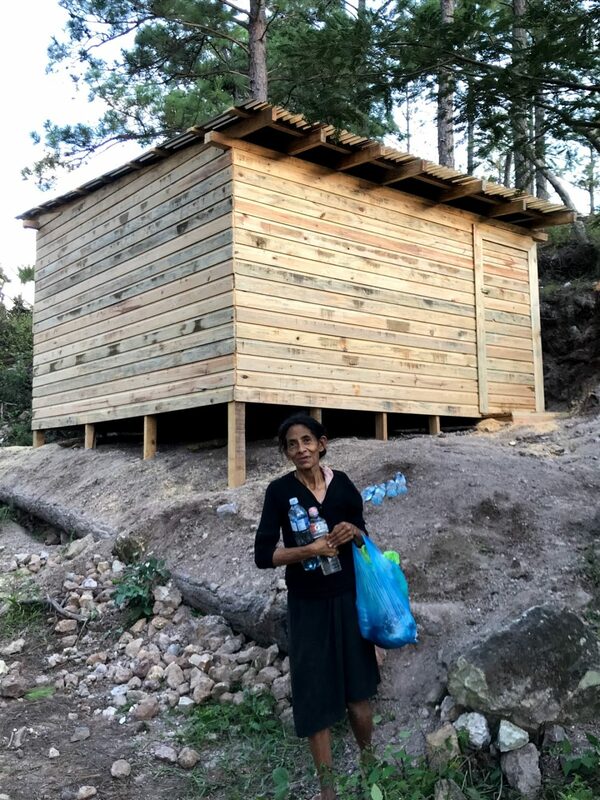 This story parallels many of our stories working outside of Tegucigalpa, in and near Siguatepeque, and now the Copán area. Your first sentence says so much about the poor people of Honduras.